Bring on the pies and cobblers, please! Don't let all the grilled meats steal the spotlight on the Fourth of July — impress party guests with unbelievable (and super easy) sweet treats .... from peach cobbler to an all-American apple pie! We've put together a list of some of our favorite recipes for sweet summertime celebrations. 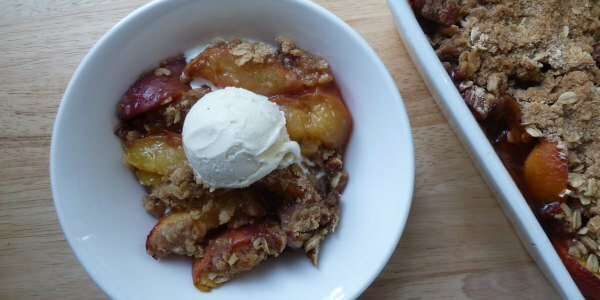 Don't ruin the holiday by spending the entire time cooking — this five-ingredient peach cobbler recipe is the perfect solution. This easy entertaining dessert is also a winner any time of year because it can be made with fresh, frozen or canned peaches. What's better than apple pie? Caramel apple pie! 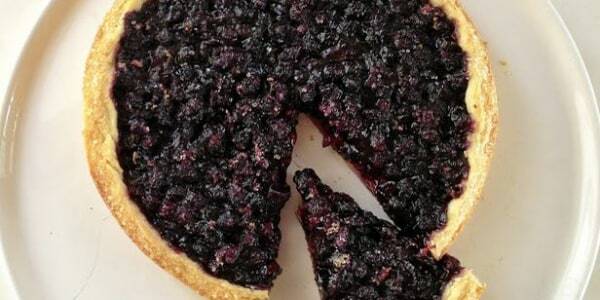 Making the dough for this pie is as easy as, well, pie! It only requires six ingredients and comes together in just a few minutes. 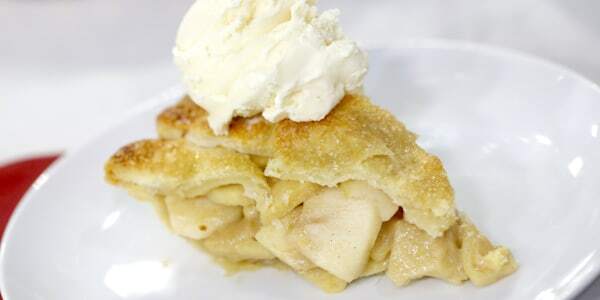 By adding just one additional ingredient (the heavy cream) to a traditional apple pie filling, this dessert becomes a gloriously gooey caramel apple pie. 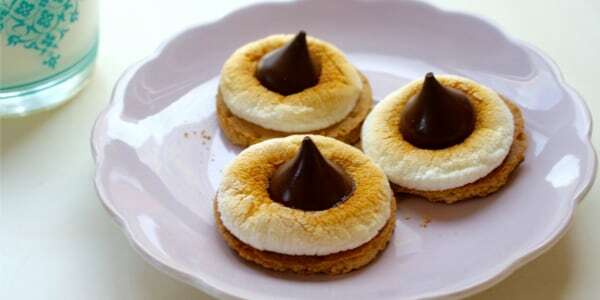 These three-ingredient s'mores bites are just so cute — and you don't even need a campfire to enjoy them. The mini sweets are an ideal Fourth of July dessert for a party and can be thrown together in minutes ... without the sticky mess. 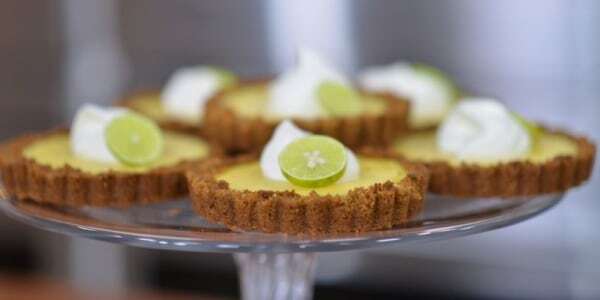 Key lime pie originated in the Florida Key Islands where the citrus grows in abundance. Sweeter than their tart cousins, Key limes have a gentle tangy flavor that enhances the creamy filling of the pie and is a perfect foil to a classic graham cracker pie crust. If Key limes aren't available at your local grocery store, simply substitute them with regular limes or bottled Key lime juice. Move over cookies! 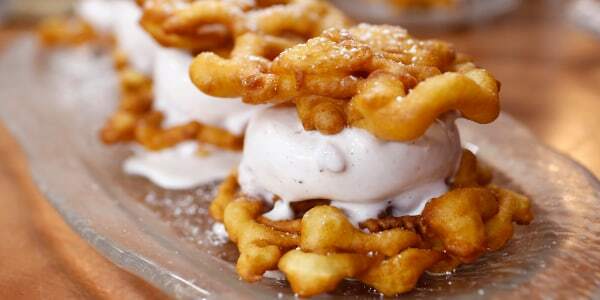 Whip up a quick batch of mini funnel cakes for these amazing ice cream sandwiches that are a perfect sweet Fourth of July dessert. Only super humans can look at this gorgeous icebox cheesecake without wanting to take a bite. As rich as this five-ingredient miracle is, it's surprisingly much lighter than a traditional no-bake cheesecake. 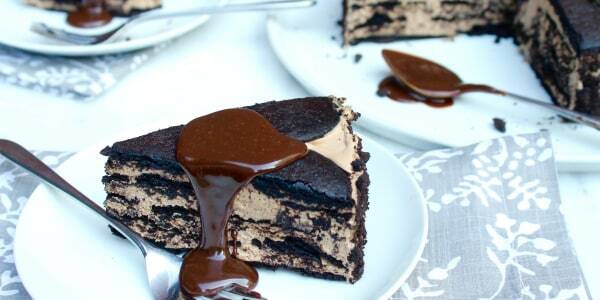 Serve with a dollop of hot fudge for an extra indulgence. 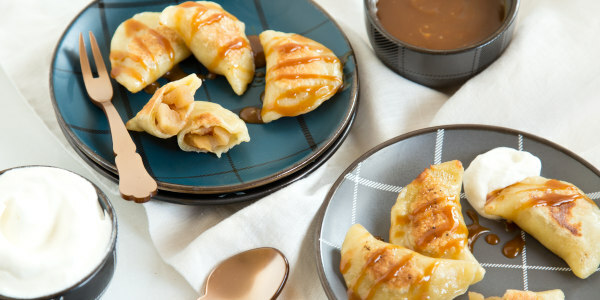 These hand pies have all the flavor of a traditional apple pie, but there's no need for a fork. That means it's easy to hold a pie-rogie in one hand and a refreshing cocktail in the other. Also, it's surprisingly easy to make the dough since there's no yeast, basically no kneading and no stand mixer necessary. 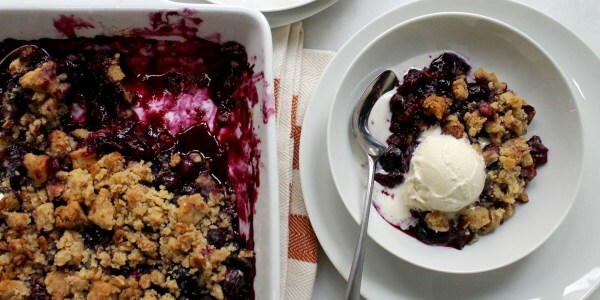 Everyone at the party will be blown away with this blueberry crisp — and no one will know it's made with only five ingredients! Using a nutty, store-bought granola for the topping cuts down on prep time, and adding self-rising flour to the filling's mixture makes the crumble especially light and crisp. For the ultimate Fourth of July dessert experience, serve it piping hot with vanilla ice cream. Beat the heat on the Fourth of July with these fruity ice pops. 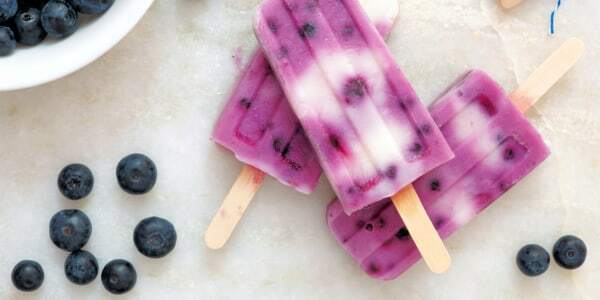 The refreshing popsicles are made with a few ingredients that may be already in your kitchen: sugar, water, cream, strawberries, blueberries and mint. Little children and big kids alike will love them. 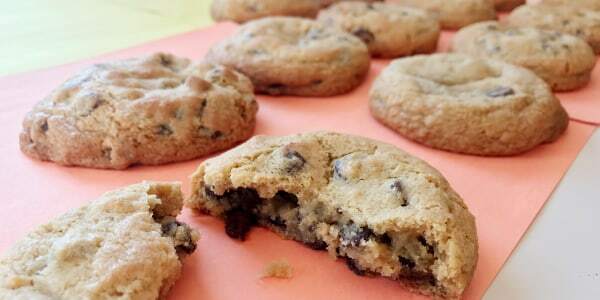 Fans of the crisp, sugary, brown-buttery edges of chocolate chip cookies will love this dessert. This sweet treat is a whole pan of the good stuff. 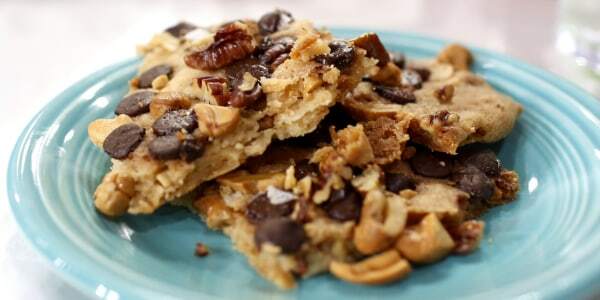 Plus, it's a fun recipe to make with kids who can help pat out the dough and break up the baked brittle. 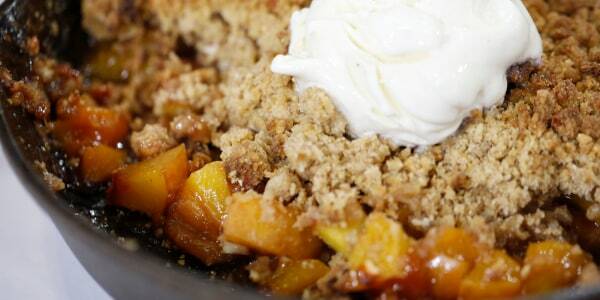 This crumble just screams summer and it's the perfect way to take advantage of seasonal fruit. Feel free to dress up your summery crisp by substituting a cup or two of fresh raspberries, blueberries or blackberries for an equal amount of peaches. When Alli Hawes, TODAY's senior food stylist, bakes these cookies, everyone descends on them like vultures. They're perfectly browned and crispy on the outside and so gooey on the inside — all thanks to her one genius trick of freezing the dough in small scoops before baking. 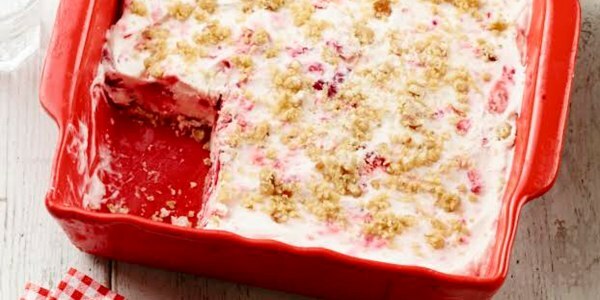 This patriotic dessert is red and white thanks to the creamy raspberry, strawberry and cream filling. Top with some blueberries and this refreshing frozen pie turns into a sweet salute to the flag. There's no need to create a fancy lattice for this pie. Bring out the best of blueberries and pile them high in a super easy, free-form pie shell that comes together with just four ingredients. This wonderfully nutty crisp can be easily baked in a skillet. 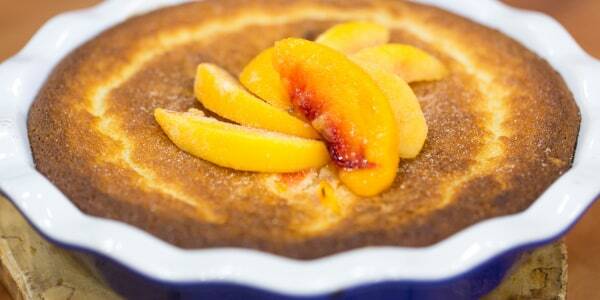 Feel free to swap out the peaches for another sweet summer fruit. Or try a combination of blueberries, raspberries, apricots, cherries, plums and strawberries, as long as the fruit is ripe and juicy. This colorful Fourth of July dessert showcases the superstar trio of strawberry, vanilla and chocolate. 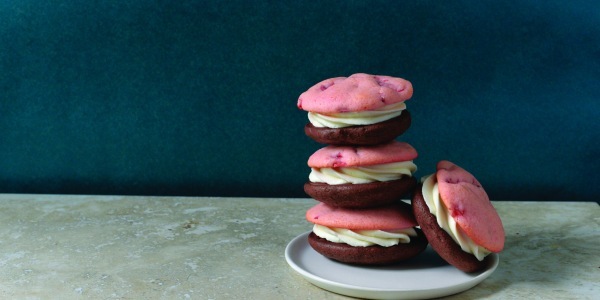 Here, the creamy, sweet vanilla filling is sandwiched between pink strawberry and chocolate cookies. Love this article? Sign up for the TODAY Food Newsletter for more inspiration to your inbox. This article was originally published on July 1, 2016.